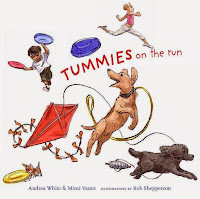 Andrea White is the author of four novels for teenagers – her first book, Surviving Antarctica, was awarded the Golden Spur Award in 2006 by the Texas State Reading Association – and one picture book for young children. She was the First Lady of Houston 2004-2009 when her husband, Bill White was Mayor. She has three children – Will, Elena and Stephen. I grew up in Houston, though I only moved here from Louisiana when I was eight. After college, I went to law school and was a partner at a law firm here in Houston at a time when not many women were partners. But I always wanted to be a writer and I’m so grateful to have been able to walk down that path. I’m a mother to three kids and that’s probably the most important part of my life. I’ve also been involved in education reform, and of course when Bill was Mayor, that introduced a new interesting side to my life, supporting him in politics and getting to know this city. I think in some way, I grew most during that time. Had my kids been older – I still had a kid in middle school and two in high school – I might have been involved in Bill’s political life in a different way. At that point, I decided that I was going to make a contribution but I chose more of an observer role than, say, Elyse Lanier had done. She had an office next to her husband, Bob, and she really was involved in the work of the city. Staying close to home was a good decision at the time for my family. I started to write when I was forty and it took me ten years to get anything published. I was writing short stories and getting them published in literary journals that nobody ever read, or at least no one I’ve ever talked to has read them. But it gave me a little confidence. Although I was writing adult novels, when I tried writing for children, I found that maybe I was a bit better at that. I think I have a better than average imagination, though I’m an average prose stylist. It’s so hard in this day and market to really stand out, so I decided to start focusing on children books. I went to Barnes and Noble and got a book of agents and just started sending out at random down the list, and that’s how I got my first book published in 2006, Surviving Antarctica. I thought my problems were over, but when Harper Collins turned me down on my second book (Window Boy) I went to a Texas publisher. Getting something published isn’t the end of the hard work, it’s just the beginning! I’m now doing a low-residency course at Vermont College to get a post-doctorate degree in creative writing. I’ve never studied creative writing but they accepted my law degree as my masters and the fact that I had published some books. Recently, I gave my faculty advisor a 300-page book and got a 40-page email back with nothing good to be said about it, so you have to love it to do it! As a friend of mine told me, “If you can quit, do!” But you know, people like me can’t quit, I’m addicted. You know, I think it’s true that you can’t write just for the money. That might come, but you just have to write because you love it, because you enjoy the process and trust that something is going to work out. It is a long daunting road, and just when you think that you are at the top – you know, you think your draft is finally there – somebody says, “Yeah, but what about that mountain?” Then you get to that other peak and you think, “I’ve finally done it, this is a great draft,” and somebody says “But what about that?” and you realize it’s a huge mountain range! You are so sick of the books by the time you have finished that you never read them again! Having said that, there are moments when you get into the groove of it and there is nothing more fun. It’s pure play. Yes, it can be tortured, but it can also be so fun. Professionally, it’s Stephen Roxburgh, my current publisher, but personally, I think it really has been my husband, Bill. When we married, he loved me unconditionally and that did something inside of me that healed something that I didn’t even know was broken. We’ve been married 28 years this year. I do like to have a big focus though, so for the past few years, that’s been my writing. If that goes away, I’m going to need something that I can really sink my teeth into. I do some work with different education groups and I like that but I don’t play a major role. I’ve always needed something to do that feels like if I weren’t pushing this rock up this hill, the rock would just roll back, and it’s important to me that it get up the hill. When we moved to Washington DC for a while, I realized how much the beauty of a city could be like a friend. Houston is not a friend to me in that way, but when I leave Houston I miss it. I miss the diversity of the city. You can go to a lot of big cities and you are just not interacting with all the levels and different groups of people from different backgrounds. Houston is just a really great city in that way and if you leave that, even to go to beautiful places, you miss it. I like to walk in Memorial Park, either on the loop trail or through the woods? I like both of them. I do it with friends and I have had so many great conversations out there, but I also do it alone and I’ve had great conversations with myself. I listen to audiobooks and I’ve gotten so fascinated by so many books there that I’ve gone another loop. Right now my favorite spot to meet is the Black Walnut Café on Memorial Drive. I love that space. They have good food, ice-cream, a wine bar. They have booths, outdoor seating and a comfy area and it’s all light and airy. I just love sitting over there. My secret is that I like to walk in the heat of the summer – I’m one of the only people I know that will go out there in 100 degrees and walk. I don’t know why. I know that people think that’s very strange or bad for your health, but I just like it. I hope Houston always stays green, and it may, but I found that drought a couple of years ago very painful, heartbreaking really. I think I would find it very hard to live in a place that had been green and became New Mexico-esque. I don’t know that we have to change Houston and it may be in its own little eco-system with the Gulf, but so much of the country seems to be experiencing drought. I don’t mind seeing the lawns go, but I’d really be sad if the trees went. Naomi Warren is a holocaust survivor – she’s in her early 90s now. She is a very loving woman who had her mother torn away from her and lost her family, but she came here and made a really big success with a meat company that her husband was running. He died too young too. Seeing people who can overcome adversity without any bitterness, I admire that very much. To read Inspiring Houston Women's interview with Naomi Warren, click here. I love this blog, Caroline! Good on you!